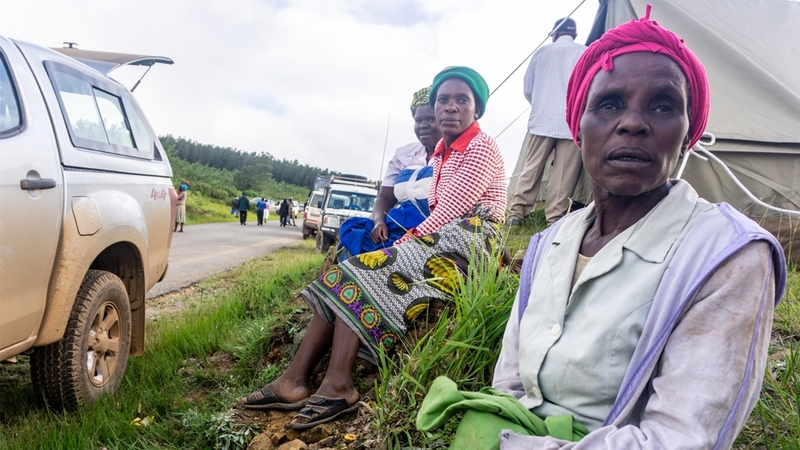 Chimanimani, Zimbabwe– High in the eastern hills ofZimbabwerescue efforts continue and medical services are starting to reach some stranded communities. In Chimanimani district, which bordersMozambique, critically injured villagers are being airlifted to hospitals. Tents for a temporary clinic and an aid camp have been set up in the mountainous section locally known as Skyline. In a statement issued today, the spokesman for theUNSecretary-General Antonio Guterres expressed his sadness at the loss of life, destruction of property and displacement of millions by the cyclonic rains and subsequent flooding. Follow Tendai on Twitter and Instagram@i_amten.